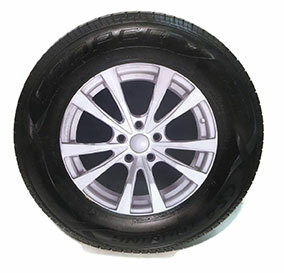 These modern style tire graphic inserts come in a variety of sizes and fitments for your tire display needs. The inserts are digitally printed on flat .030 polystyrene circles to replicate the look of modern Passenger, Street Truck/SUV and MT/ATV wheels. Wheelz Tire Inserts simply tuck into unmounted tires for your showroom displays.